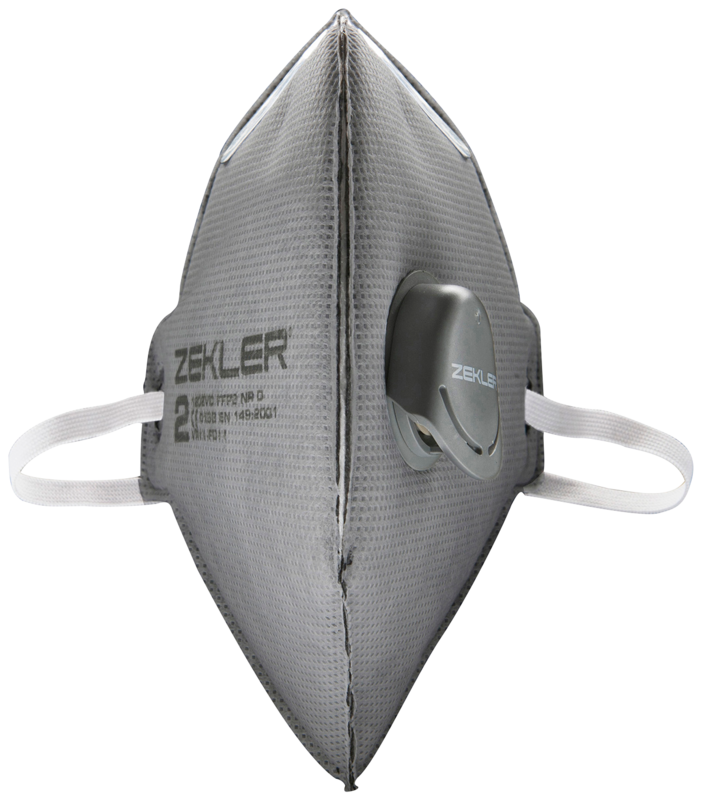 Comfortable filtering half mask in a foldable design. Very efficient filter material, at the same time giving a very low breathing resistance. An integrated layer of active carbon for comfort, even in environments with organic vapour and gasses. Endless, woven elastic band easy to adjust. Exhalation valve which very efficiently ventilates moisture, heat and carbon dioxide providing comfortable use during the entire work shift. Protection class FFP2, protecting against solid and liquid particles 12 x occupational exposure limit value. Integrated layer of active carbon protecting against organic vapour and gases below the allowed occupational exposure limit value. Endless, woven elastic band for optimal fit. Hygienically individually packaged in a plastic bag, alternatively in a blister 3-pac.